Traditional materials are still in everyday life in Fiji. 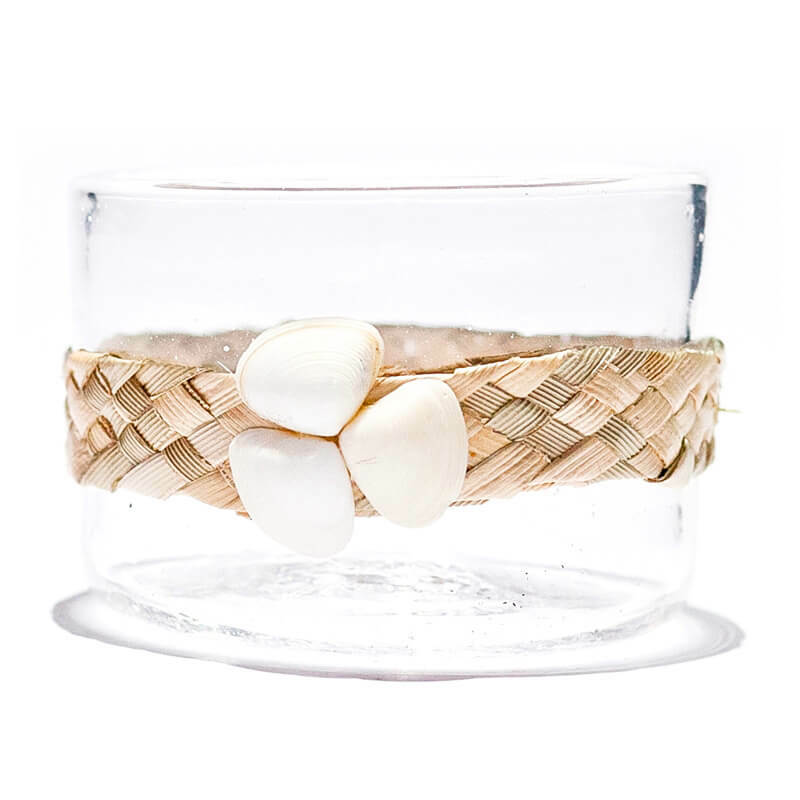 Magimagi, coconut rope, is often seen tied in intricate decorative patterns around the wooden beams of Fijian buildings. 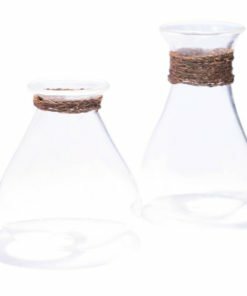 Masi, the papery cloth made from pounded mulberry bark, has a wonderful texture and when hand printed with traditional designs is the Tapa cloth which plays such a significant role in weddings, births and other life events. 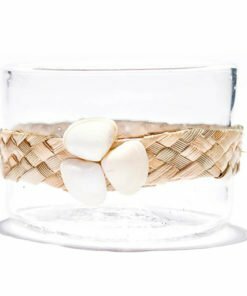 Weaving from fibres such as voivoi is so fine a skill here that the sails of the mighty drug – the legendary Fijian war canoes – were all woven. 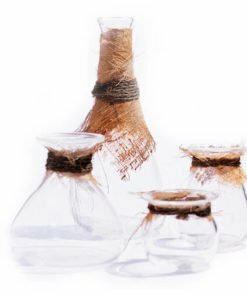 All over Fiji, women still weave; their handiwork can be seen everywhere from the mats found in all homes to baskets and bags, hats and fans and the walls of traditional bores. 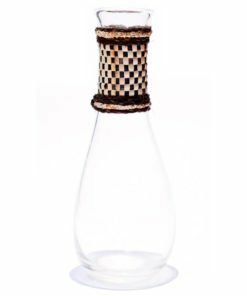 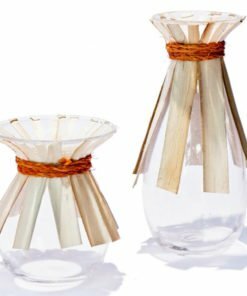 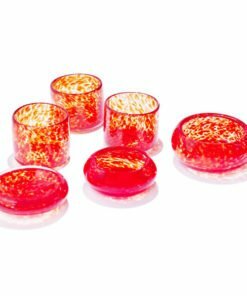 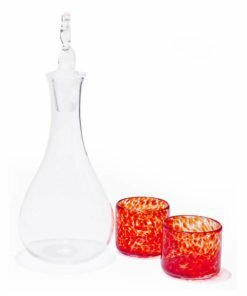 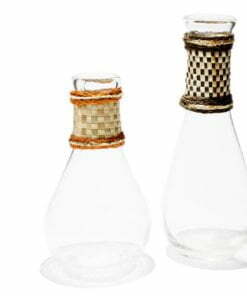 These wonderfully textured mediums combine perfectly with the clean clear forms of glass in our Drua range of vases, decanters and carafes that reflect and complement the traditional handicrafts of Fiji.